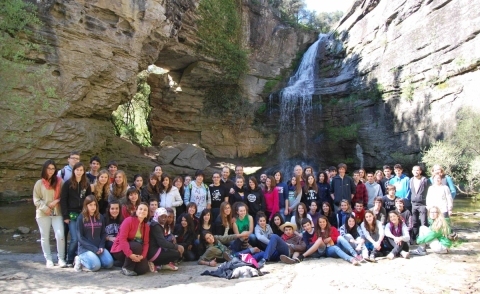 The event gathered some 70 young people aged between 13 and 14 years old, in Cantonigròs (Barcelona). The Prince of Girona Foundation organised and supervised this initiative promoted by young people which aims to take concrete measures to help the environment. The Prince of Girona Foundation (PGiF) launched its programme of activities for the IMPULSA Forum 2012 with the second edition of the Plant-for-the-Planet Academy project, which was held over the weekend of 4 and 5 May in Cantonigròs, in the county of Osona (Barcelona). This activity was organised and supervised by the PGiF in conjunction with the Pere Tarrés Foundation, Accionatura and the Department of Education of the Government of Catalonia. The Plant-for-the-Planet Academy is the main pillar of the Plant-for-the-Planet Children’s Initiative, an international organisation created in Germany in 2007 by a nine-year-old boy, Felix Finkbeiner, and promoted by children all over the world. The project’s mission is to convince politicians in charge and adults in general of the need to adopt concrete measures to fight against climate change and help the environment. Finkbeiner, at the age of only 13, was one of the main guest speakers at the Impulsa Forum 2011. He became one of the stars of the event when he surprised the audience by putting his hand over the Prince of Asturias and Girona’s mouth to draw attention to his campaign Stop Talking, Start Planting. During the event in Cantonigròs, the young people who participated in the first edition of the Plant-for-the-Planet Academy in Spain, held in Girona on 23 June 2011, leaded the training sessions to show this year’s participants how to mobilise the population for this cause. 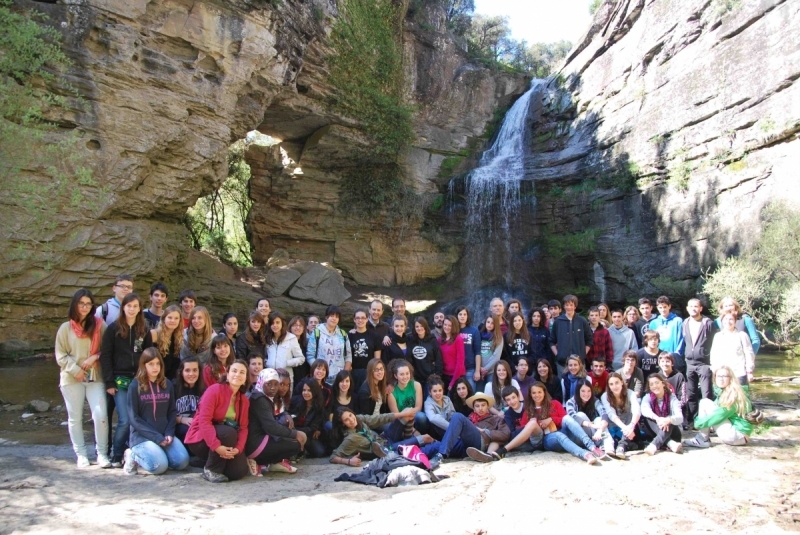 By doing this, the young people involved in the first edition of Plant-for-the-Planet, who have been carrying out activities throughout this school year, handed the baton on to a new group of young people from secondary schools in Osona (Barcelona) and the Girona counties. This project is the first activity of the third edition of the IMPULSA Forum 2012, an initiative launched by the PGiF in 2010 to discover what educational, technological, economic, political and social conditions are required to turn thousands of restless young people into creators of progress, through initiatives in all fields: science/technology, business and society, sport and art/culture.